Update on HEMLOCK WATER DROPWORT, that innocuous-looking plant. “It is a large, stout plant, 3 to 5 feet high, the stems thick, erect, much branched above, furrowed, hollow, tough, dark green and smooth. The roots are perennial and fleshy, of a pale yellow colour. They have a sweetish and not unpleasant taste, but are virulently poisonous. Being often exposed by the action of running water near which they grow, they are thus easily accessible to children and cattle, and the plant should not be allowed to grow in places where cattle are kept, as instances are numerous in which cows have been poisoned by eating these roots. They have also occasionally been eaten in mistake, either for wild celery or water parsnip, with very serious results, great agony, sickness, convulsions, or even death resulting. While the root of the Parsnip is single and conical in form, that of Oenanthe crocata consists of clusters of fleshy tubers similar to those of the Dahlia, hence, perhaps, one of its popular names: Dead Tongue. The author of Familiar Wild Flowers states that the name ‘Dead Tongue’ was given from the paralysing effect of this plant on the organs of speech. No British wild plant has been responsible for more fatal accidents than the one in question: a party of workmen repairing a breach in a towing-path dug up the plants and ate the roots, mistaking them for parsnips; another party, working in a field, thought that a few of the leaves with their bread and cheese would prove a tasty relish: in each case death occurred within three hours. On another occasion eight boys ate the roots, and five died – and the other three had violent convulsions and lost their reason for many hours. The plant has been used to poison rats and moles. Both stem and root, when cut, exude a yellowish juice, hence the specific name of the plant and one of the common names (Yellow Water Dropwort) by which it is known. The juice will stain the hands yellow. The generic name, Oenanthe, is derived from the Greek ainos (wine) and anthos (a flower), from the wine-like scent of the flowers. 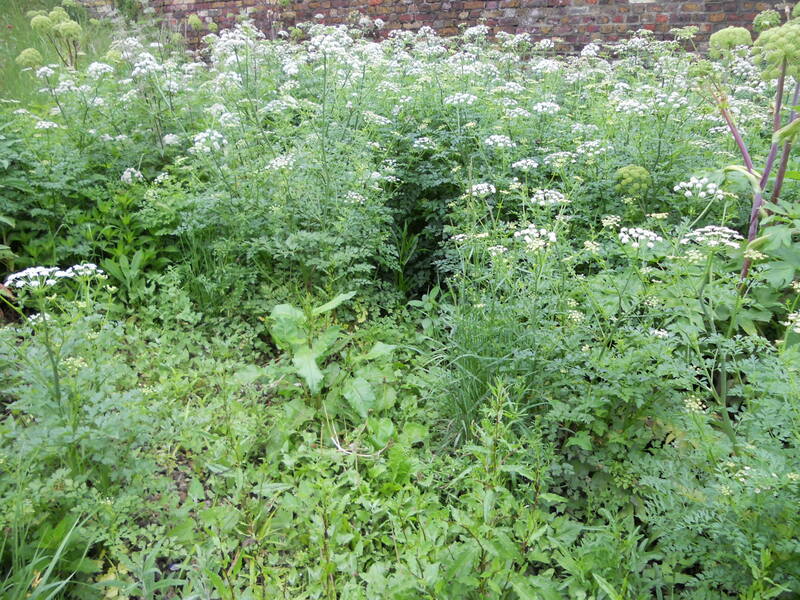 The leaves are somewhat celery-like in form, and the flowers are in bloom in June and July, and are borne in large umbels. There is considerable variety in the form of the leafsegments, the number of rays in the umbel, and of the involucre bracts. The lower leaves, with very short, sheathing footstalks, are large and spreading, reaching more than a foot in length, broadly triangular in outline and tripinnate. The leaflets are stalkless, 1 to 1 1/2 inch long, roundish, with a wedge-shaped base, deeply and irregularly lobed, dark green, paler and shining beneath. The upper leaves are much smaller, nearly stalkless, the segments narrower and acute. This most poisonous of our indigenous plants is not official and has never been used to any extent in medicine, though in some cases it has been taken with effect in eruptive diseases of the skin, being given at first in small doses, gradually increased.